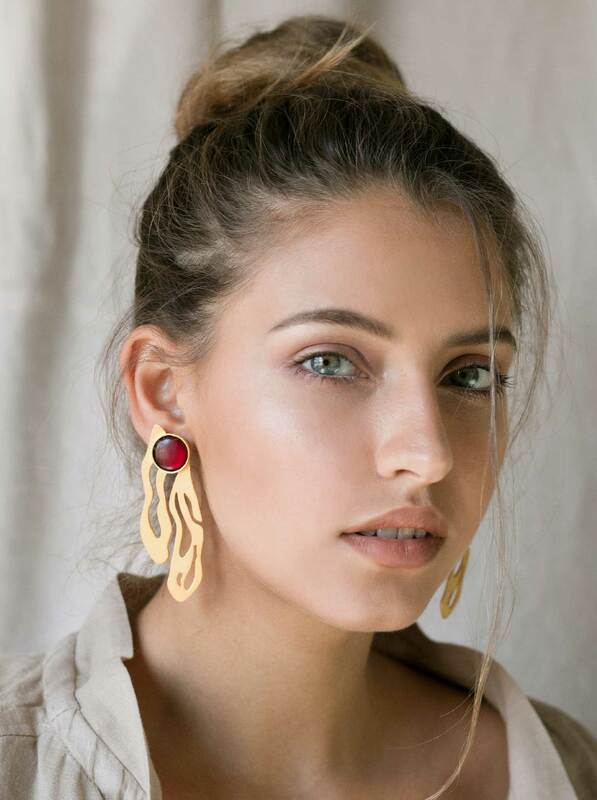 Tangled wires, spirals and hoops are all fused into the Mega Router earrings, forming an artistic statement about the hold technology has over human race. 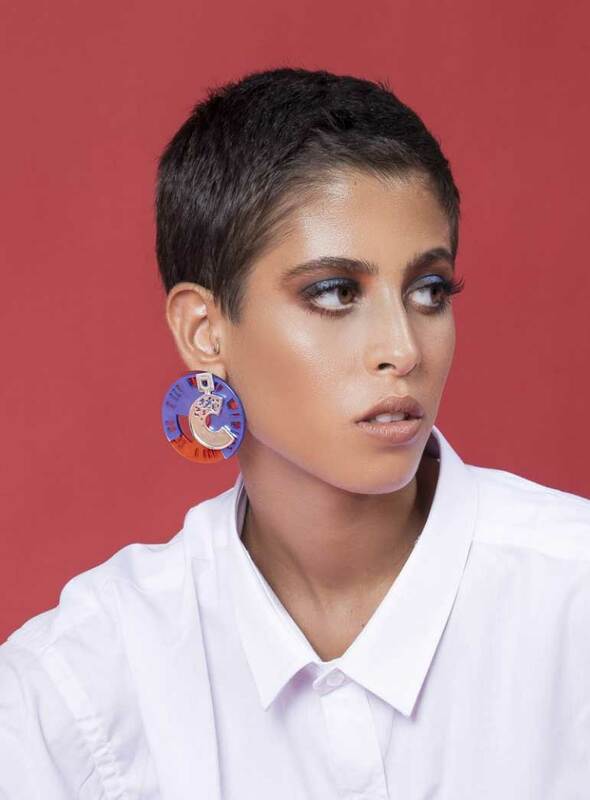 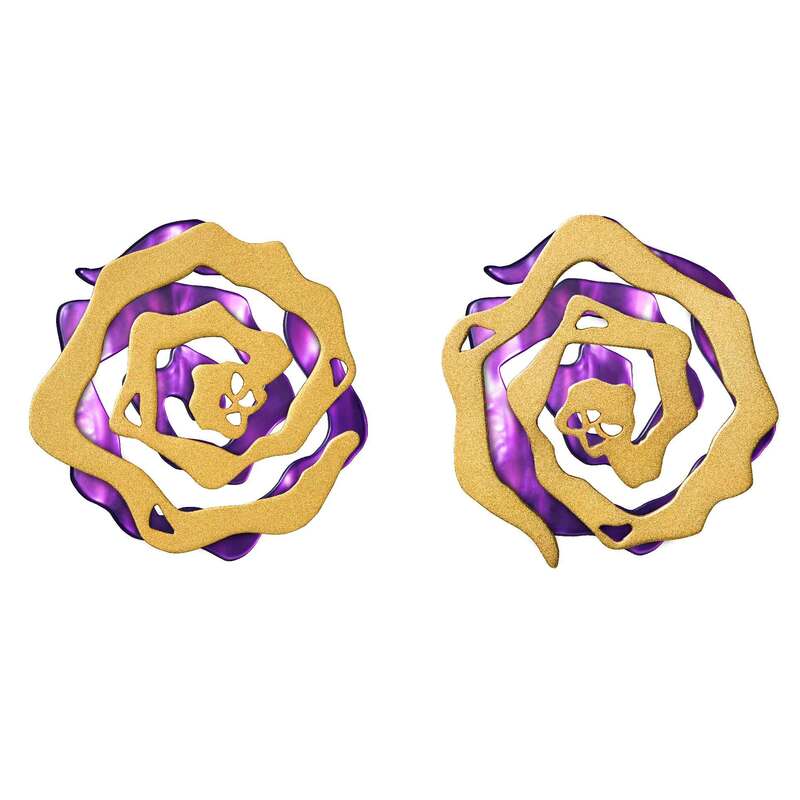 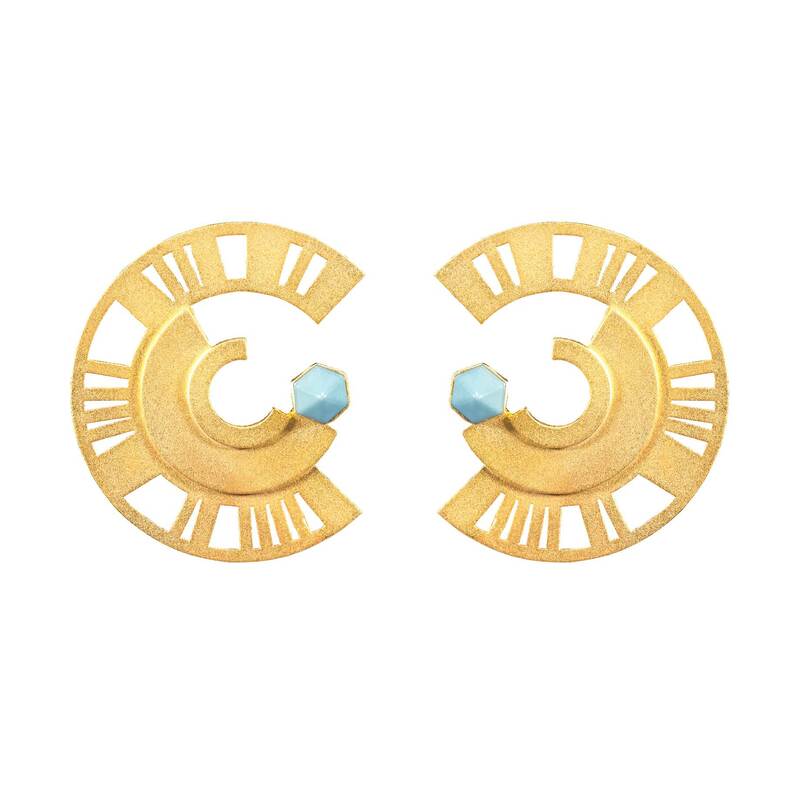 The earrings feature 2 circling rings, one of which is made of brass dipped in gold and features barcode-inspired cutouts. 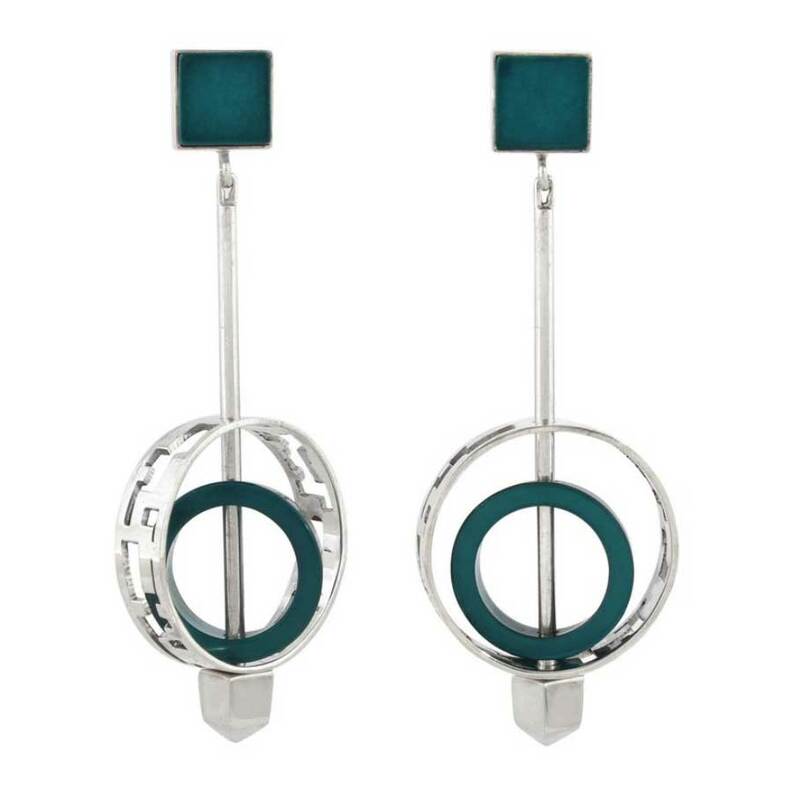 These handcrafted earrings are handmade of 925 sterling silver and custom-made Resin stones. 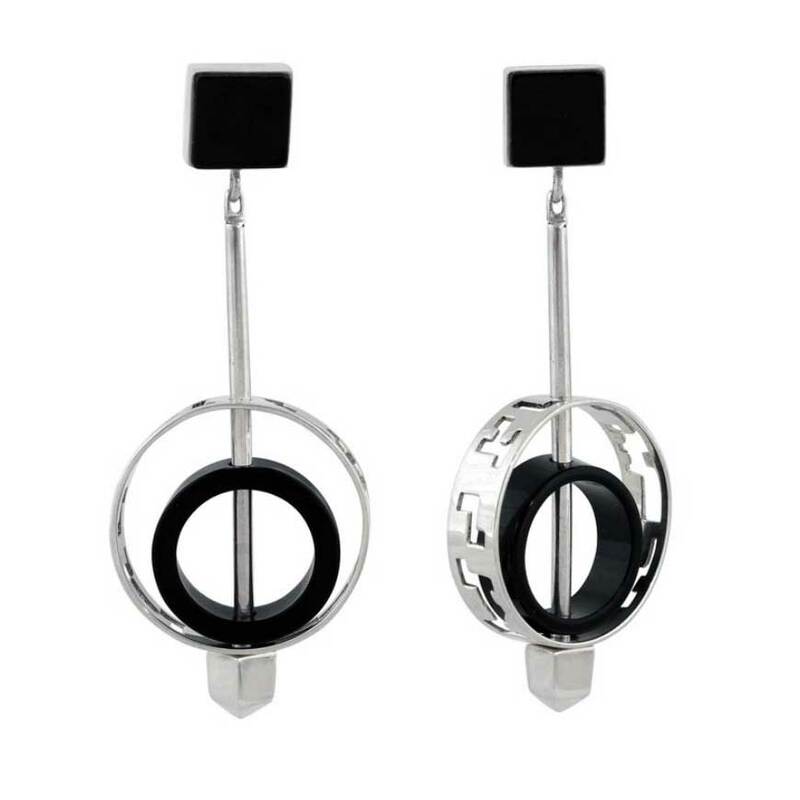 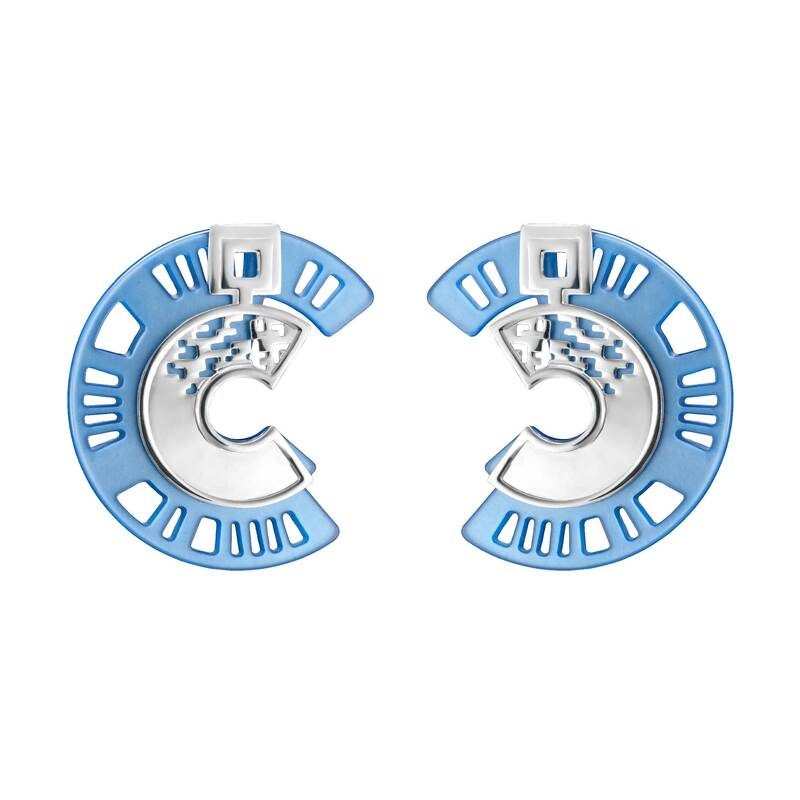 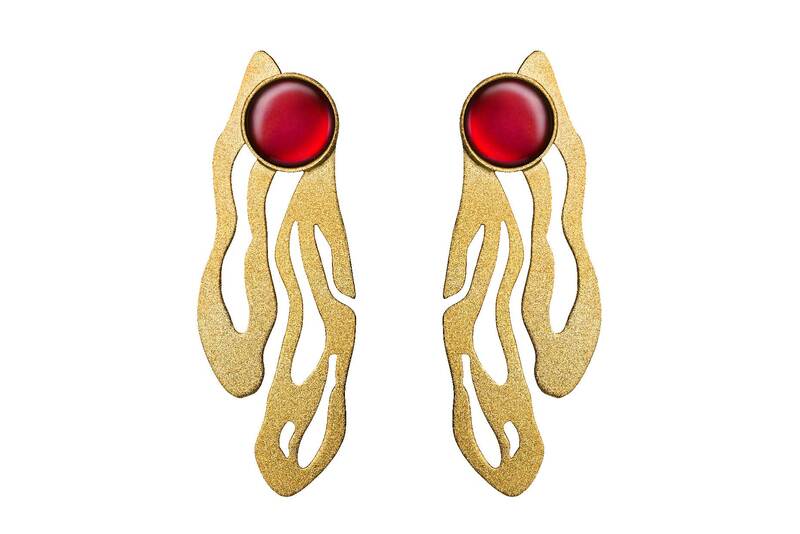 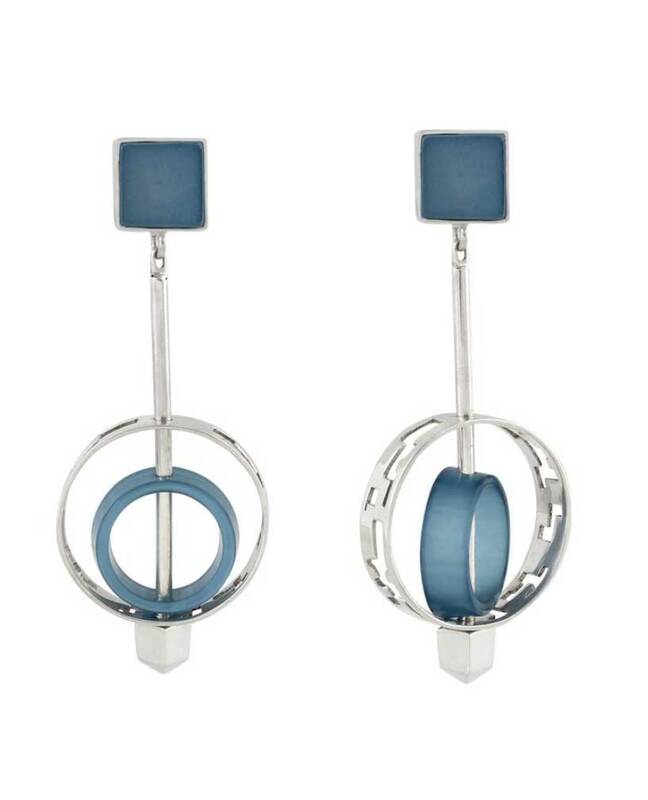 These tech-inspired earrings will add a contemporary twist to a simple T-shirt.